You are cordially invited to join Austin Pets Alive! in celebrating the two year anniversary of Austin being a No-Kill city. Enjoy live music from Graham Wilkinson, drinks, and appetizers in the company of fellow Austinites and No-Kill supporters. Guests of honor will include Texas State Representative Eddie Rodriguez and Austin City Council Members Mike Martinez and Laura Morrison, as we recognize them for their outstanding work. No-Kill is a journey - not a destination - and we must continue to work as a community to save our four-legged friends. One hundred percent of ticket sales and donations go to Austin Pets Alive!, a 501(c)3 organization focused on saving the lives of those animals at risk of euthanasia. APA! 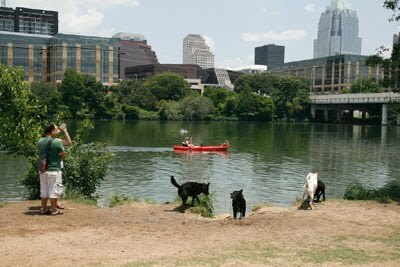 has saved over 18,000 animals from euthanasia, and has been a key player in making Austin a No-Kill city. We look forward to many years of No-Kill to come, but need your support to make it happen. Complimentary appetizers are provided by Pink Avocado Catering, accompanied by drinks from Tito's Handmade Vodka. Full bar available for cash or credit purchases. Live music performed by Graham Wilkinson, and DJ stylings from Dub Academy. Guests each go home with a goodie from Cowgirl Treatery to top it off! Thank you to our generous sponsors who made this event possible: Best Friends Animal Society,Austin Subaru, The Belmont, All Natural Canine, ATX Investments LLC, CultureMap, Citizen Generation, Austin Bar Association's Animal Welfare Committee, The Matula Family, Battalion Roofing, and Owleyes Tee Shirts.